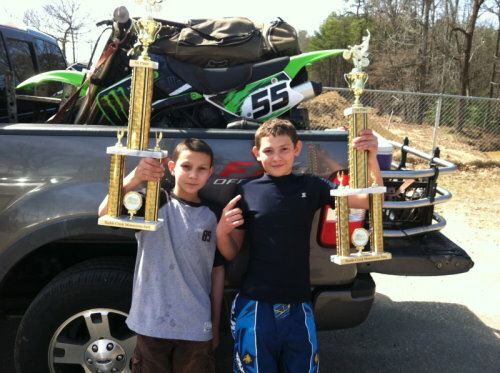 FIRST RACE of '11: Budds Creek, Maryland- March 13th - Winner Winner! GMS supports New Jersey Racers by working with select New Jersey Business owners. 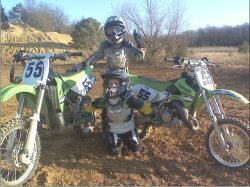 Over the last 3 years, our team has competed in over 100 motocross races. 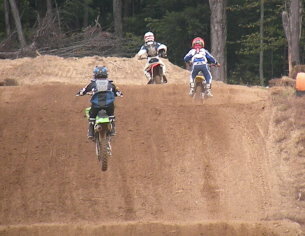 area, including regionals near Pittsburgh, PA and our latest race north of Syracuse, New York at Moto Masters Racepark. Xavier and Marvin Ellis, both walk away with 1st place at the first race of 2011 in Budds Creek, MD. If they can stay healthy, we could have an awesome year!. Great job boys! Little Marv takes 8th at Moto Masters in the 85cc 9 - 13yrs class. Above he's taking a 25 ft. step up in sand. Saweeet! GMS Welcomes our latest Sponsor! GMS Racing is focused on a circuit of about 20 tracks throughout the Northeast. Although our home is in New Jersey, we also race in Pennsylvania, Maryland, Delaware, New York, and Massachussetts. Xavier Ellis, #44, is our next superstar in training. 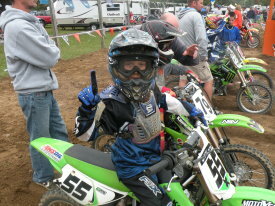 In 2009 he will begin racing in the 65 cc 7-9 yr class. Xavier trains with his older brother. GMS Racing has had a tough season. Many hurdles had to be overcome to keep the team on track (no pun intended), but we are dedicated to our sponsors and winning.